*Monday, March 25, at 6:45 pm, Cleveland Cinematheque (announcement) A Special Event! 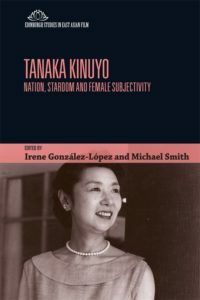 CWRU professor emerita Linda Ehrlich is one of the foremost authorities on contemporary Japanese filmmaker Hirokazu Kore-eda. She has interviewed him twice, provided the full-length commentary for Milestone Film and Video’s 25th-anniversary Blu-ray/DVD release of his 1995 debut film Maborosi, and is finishing a book on the director. Tonight Linda returns to Cleveland to introduce and answer questions after a screening of Kore-eda’s latest (and perhaps most acclaimed) feature, winner of the top prize at last year’s Cannes Film Festival and a 2019 Oscar nominee for Best Foreign Language Film. Shoplifters is a touching, humanistic tale of a three-generation family of thieves—a crime movie full of charm, humor, suspense, and surprises. Subtitles. DCP. 121 min. Special event pricing $12; members, CIA/CSU/CWRU I.D. holders, and those age 25 & under $9. No passes, twofers, or radio winners. 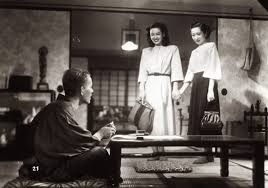 Screening co-sponsored by the Japanese section of in the Department of Modern Languages and Literatures, CWRU. Special thanks to Yuki Togawa. Introduction of 2 classical Japanese films, Late Spring and Ugetsu at the Cinematheque Ontario/Toronto in July (2018). 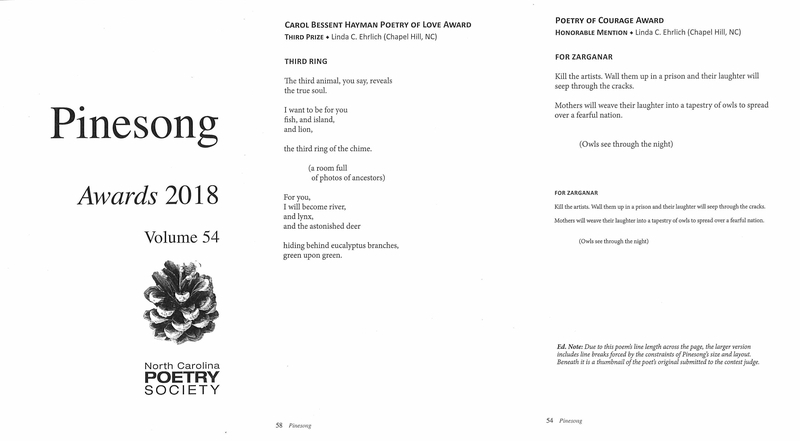 My poem “For Zarganar,” has won honorable mention in the NC Poetry Society “Poetry of Courage” contest judged by Heather Bowlan. Heather Bowlan is a writer and editor living in Philadelphia. 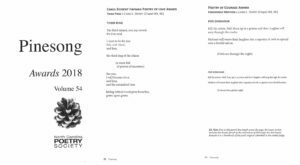 Her poetry has been published in New Ohio Review, Interim, Nashville Review, and elsewhere. Heather has served on the editorial staff of BOAAT and Raleigh Review, is a recipient of an Academy of American Poets Award, and has received fellowships and grants from the Virginia Center for the Creative Arts and the Vermont Studio Center. 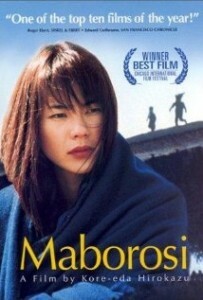 Invited full-length commentary on a new Blu-ray of the Japanese film Maboroshi (dir. 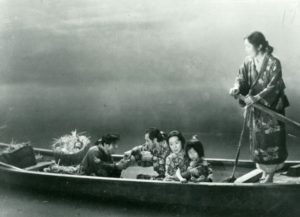 Kore-eda Hirokazu). Available through Milestone Film and Video. “Reflecting Through Images: The Documentaries of Mercedes Álvarez,” in Ulfsdotter, Boel, ed. 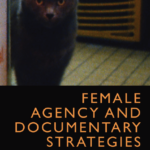 FEMALE AUTHORSHIP IN CONTEMPORARY DOCUMENTARY MEDIA (University of Gothenburg, Sweden). Edinburgh University Press, 2018, pp. 184-193. Pickford Film Center (Bellingham, Washington) and Western Washington University. Supported by MAAT (Museu de Arte, Arquitetura e Tecnologia, Lisbon), UW-Madison.